The B5 generation Audi A4 was introduced in 1994 and featured a longitudinally mounted engine mated to a front transaxle with optional quattro all-wheel-drive. 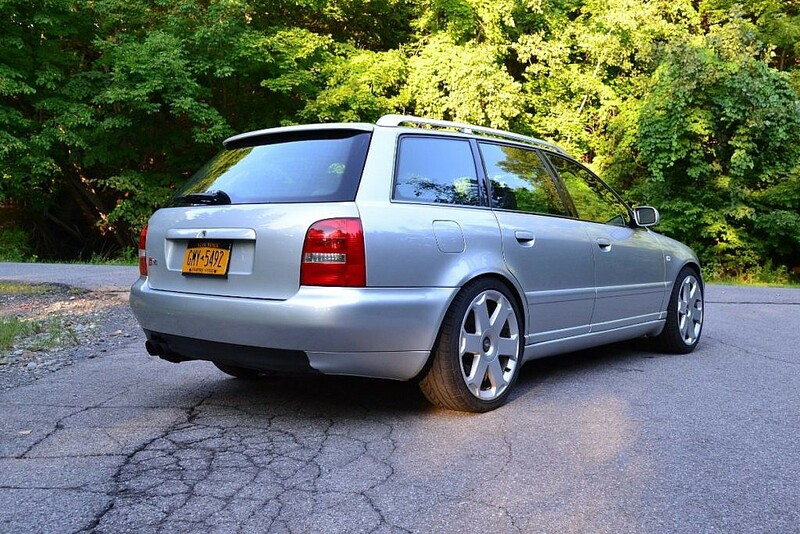 It is a good cheap used car, and the hottest version released to the US market was the twin-turbo equipped S4. Thankfully, the product planners at Audi decided to let the USA buyers get the Avant/Wagon version and was in this generation that Audi started to legitimately challenge BMW in the compact luxury sports-sedan/wagon wars. Find this 2001 Audi S4 Avant B5 offered on SecondDaily.com bidding for $1000 (buy-it-now of $7750) with 9 hours to go, located in New York. 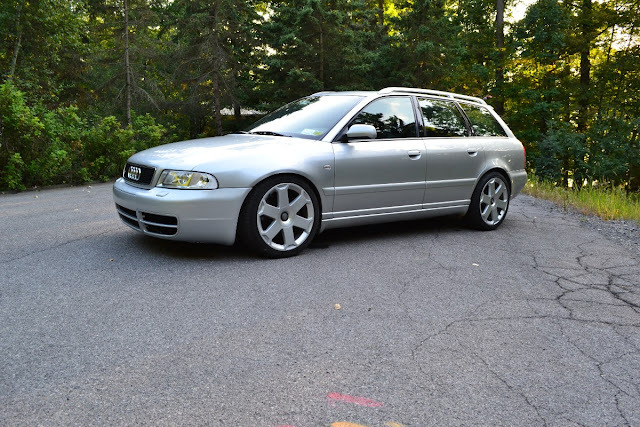 Second Daily Auctions is proud to present this second generation 2001 Audi S4 Avant wagon. It is powered by the aforementioned 2.7L bi-turbo V6 and thankfully mated to a 6-speed manual gearbox. Best of all, all four wheels have power going to them, making this a great all-season sport wagon for anyone as far north as Taloyoak to the rainy jungles of Chichirata. It’s also a driver, with 206k miles ticked away on the odometer, so there’s no need to worry about saving this one for the next guy. The seller acquired this S4 7 years ago with 151k miles on it from its original owner, a professor in Boston who took great car in the car. He has records dating back to her ownership and states all of the normal issues these cars see have been addressed already under the current owner. Yeah this is depreciation at its best, those of us willing to turn a wrench can reap the spoils.